On arriving at number 18 Folgate Street, you sense something unusual is about to unfold, stepping back in time from the moment you pull the wonderful old doorbell (definitely no fandangled push bell with a bad rendition of Greensleeves here.) The friendly proprietor of the house greets you in a hushed voice, giving simple instructions as to what to expect and where to go, and then you're on your own, a humble figure transported right back to the 18th century, left to roam around this extraordinary house at your leisure. No talking allowed. 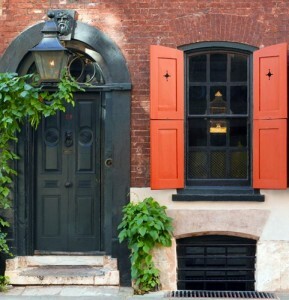 In short, 18 Folgate Street is a time capsule which was created by a Californian artist called Dennis Severs, who wanted to use the imagination of the visiting public as a canvas for his art, giving the visitor the sense of walking directly into, and being part of a still life masterpiece, whilst creating a completely unique experience. It really is an experience, not a museum! Dennis Severs' journey was a strange one. He loved English history so much, he decided to upsticks from America and followed his heart to London in search of a home, which he found at 18 Folgate Street in 1979. In the 1970's, the area around Spitalfields and Shoreditch was particularly run down and inhabited by struggling artists and fellow Bohemian types - a far cry from the hip, trendy and happening place it is today. 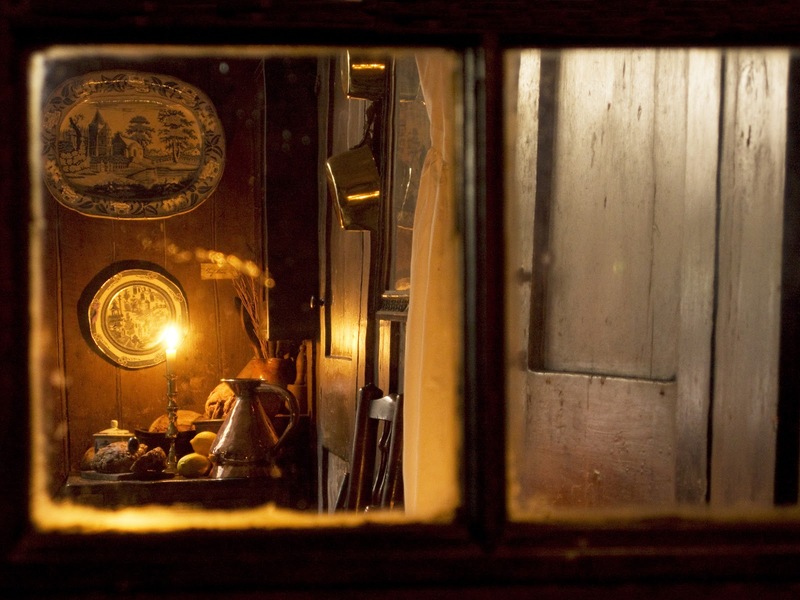 The house had no lighting or heating, and to this day, it remains the same, relying on candlelight, log fires and coal burners. 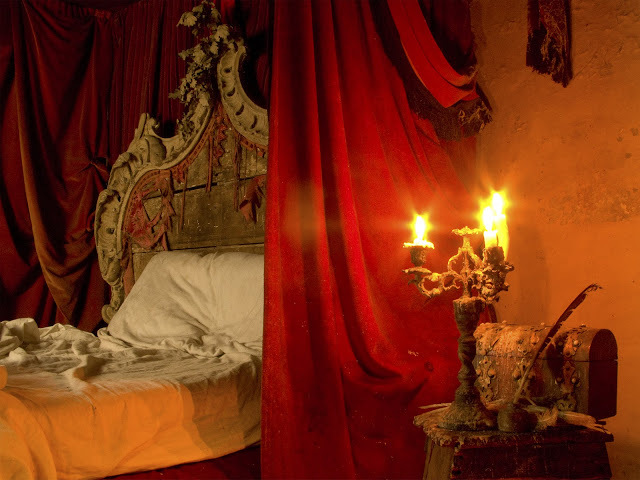 The property was in a very run-down state when Severs bought it, but before he started restoring it back to the splendour of what it would have been in the 18th century, he decided to sleep in each of the ten rooms so he could get a proper feel for the place and unveil its secrets. He would then spend the next 20 years until his death in 1999, lovingly transforming the house into the enchanting time capsule it still is today. He sourced pieces of old furniture and various obscure and original objects which he picked up along the way or found at local markets, and painstakingly decorated the house from top to bottom. The most interesting and curious thing of all is the Jervis family. An entirely fictional family that Dennis Severs created to live in the house with him. They were French Huguenot silk weavers who had fled persecution in France in 1688 and bought the house in 1724. Despite them being completely imaginary, Severs has managed to create an enormous sense of reality. And even more strange is that despite him living there in very recent times (1979-1999), he lived alongside his 'housemates' as if it was still the 1700's, cooking and cleaning with no modern facilities at all. As a visitor, it really does feel as if you're having a good old snoop around the house whilst the Jervis family are there. Everything has been left exactly as if they've just left each room, and you're almost convinced that if you're quick enough, you may catch a glimpse of them. The beds are unmade and probably still warm. Mrs Jervis' cup of tea and half eaten boiled egg is still on the table in her bedroom. A pair of children's shoes are on the kitchen floor. Mr Jervis' coat is slung on a chair. The dining room reveals remnants of a recent dinner party and unfinished glasses of port. You can hear the sound of a horse-drawn carriage on the cobbled street outside. Freshly baked cakes and scones on the kitchen table alongside half peeled sprouts. The soft scent of oranges. A clock ticks and a door slams upstairs - footsteps on the staircase. The warmth of the crackling fire and the flickering of candles. It's all so real. On entering one of the rooms, you look up at the large Hogarth painting above the fireplace which depicts a scene of a raucous bunch around a table. A table adorned with a fallen candlestick, a blue and white painted bowl, half empty glasses of wine and a red coat hanging on the wall. Then you look closely and realise you are in fact in that very room, standing in front of a table adorned with a fallen candlestick, a blue and white painted bowl.... You are part of the painting. Eerie, yet mesmerising. 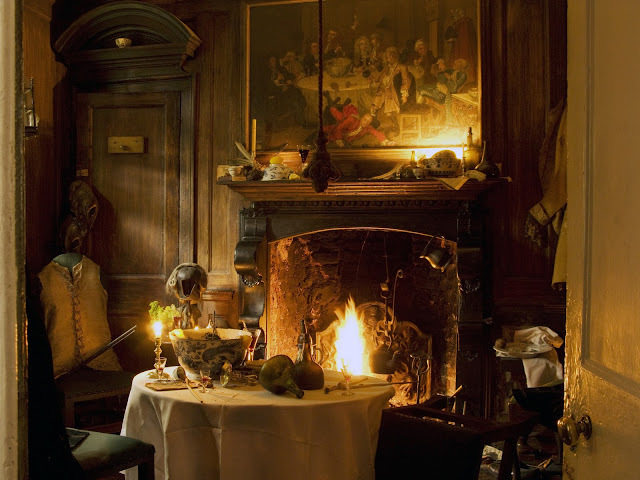 I think everyone's visit to Dennis Severs' house is unique to the individual as it depends how open-minded you are. There will be those who don't 'get' it and are quick to trivialise it as a glorified museum. And then there are those with a good imagination and a sense of intrigue who will appreciate the art and mystery. After all, the motto of the house is Aut visum aut non! You either see it or you don't! What a fantastic find Immy, I will definitely visit, thanks for the detailed post! Fab recommendation for my birthday night surprise. 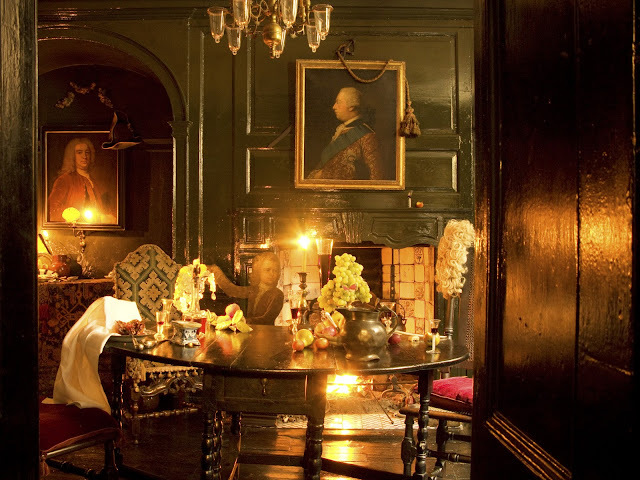 What a wonderful way to be transported to the 18th Century through this unique House. Like nothing else in London - top marks for finding and sharing Miss Immy!